Every cooperative holds elections, but not every co-op knows the advantages online voting can bring to their governance process. It’s time to change that. 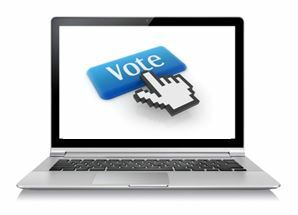 Join us for our FREE webinar – Online Voting for Cooperatives. SBS election experts, Ryan O’Connor and Tim Madsen, will guide participants through the benefits of online voting including boosting voter participation, engaging younger members and improving election efficiencies. The webinar will also include a demonstration of a co-op election site from a member’s perspective so you’ll experience what your members see when they vote online. The truth behind common misconceptions of online elections. Join us Wednesday, April 30 at 10:00am CDT for this free webinar packed with valuable information for cooperatives. Register now as attendance is limited to just 100 participants. The webinar also includes a Q&A session at the end of the presentation so you will have the opportunity to ask questions and get answers from the online election experts. If there’s anything you’d like to make sure we discuss during the presentation, leave a comment below.